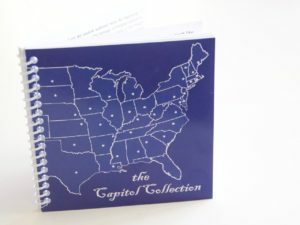 The Capitol Collection souvenir passport book to all fifty state capitols; photo by Jan Jackson. Who hasn’t visited a state capitol – and then another – and then another. DH Tours, out of Denver Colorado came up with a little souvenir passport book to the capitols of the United States that every traveler (or even non traveler for that matter) should have. The book gives short but complete little histories from Alabama to Wyoming and talks about interesting facts to make your visit all the more interesting. And, if that isn’t fun enough in itself, there is a place on each page to get a stamp – which means you can turn it into a keepsake. Let’s take Oregon for example. 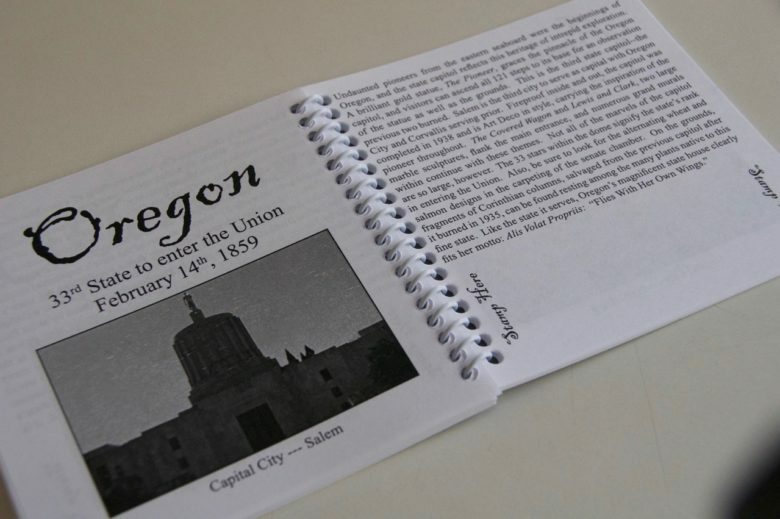 It talks about the Golden Pioneer on top of the building, the fact that the first two capitols burned down, the alternating wheat and salmon symbols in the senate chamber carpeting and some information about when Oregon became a state. The book fits in your pocket and comes with detailed instructions to help you use it. I like it for an easy reference book but it is perfect to give as a gift for any occasion. I am looking for my grandson, for a collection of recent postcards of each capital of the United States can you help me? I’ll get right on it – smile./Ed.